On the Internet and other social networks, I have read many articles written by foreigners, tourists and cultural researchers about Vietnamese Tet Holiday (called Vietnamese New Year or Lunar New Year). Well, in Asia, each country has its own New Year festival and it’s different from the New Year festival which Europe, America and the world celebrate. 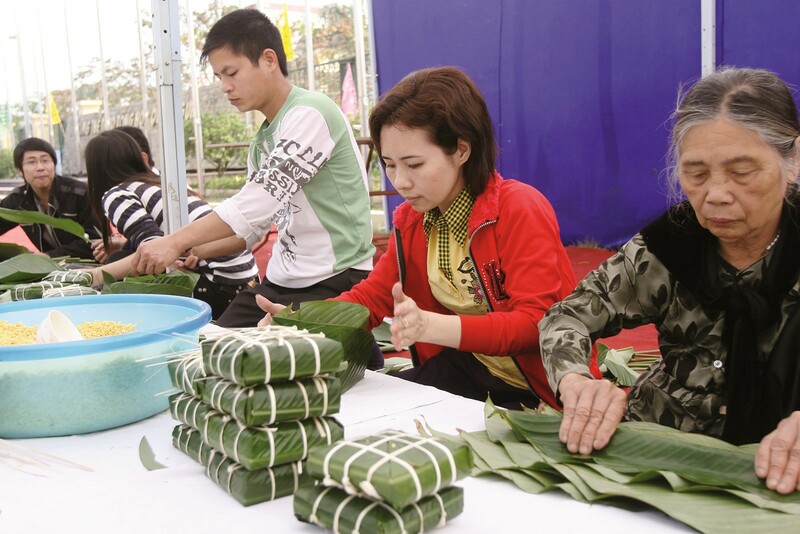 Even in Vietnam, out of the 54 ethnic people, many have their own festival, such as the H'mong, who have the New Rice festival in November, which is earlier than "National Tet Holiday" about 2 months. But in this article, I want to talk about the traditional Vietnamese Tet, which has a history of thousands of years. We call our traditional New Year is "Tet" (read like teid"), also known as the Lunar New Year according to the Chinese culture. The traditional New Year mentioned in this article is the festival celebrated by East Asian countries such as China, Vietnam, Japan, Korea, Taiwan and many others in Asia. It means that in Vietnam, we have two New Year holidays. The first celebration is New Year's Day, taken from the Gregorian calendar (we call this 'Western Tet' - the first day of a year). It’s January 1st (like New Year’s Day in almost countries in the world). And then about 1 to 2 months after, we celebrate another New Year’s Day that is more special, more important, it's traditional New Year - Lunar New Year Holiday and Festival. 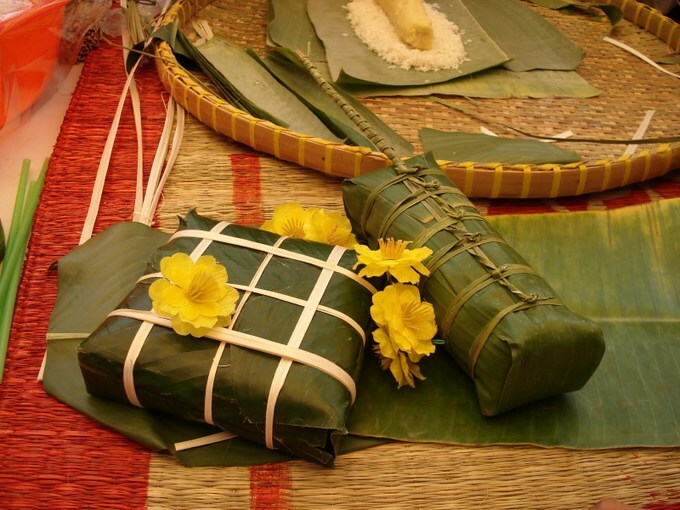 All the people of Vietnam celebrate this traditional Tet. 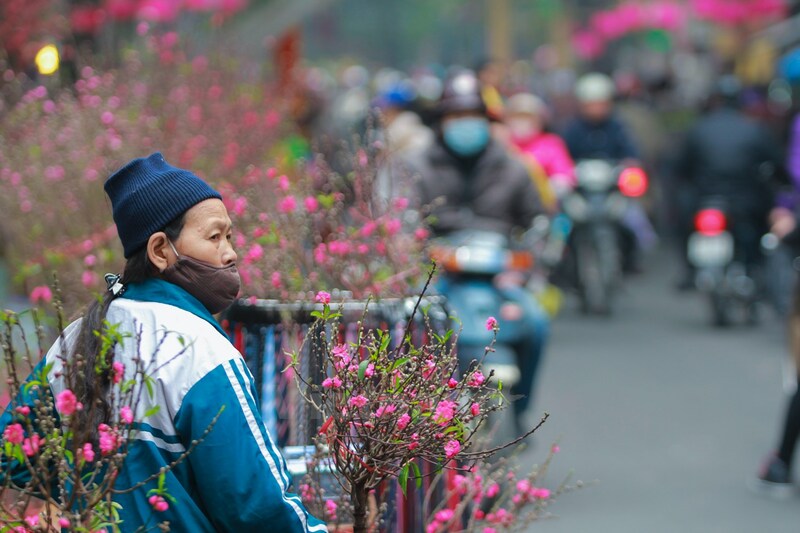 In Vietnam, Tet signifies the beginning of spring, as well as the new year (spring is the season in which trees and flowers sprout and bloom). If want more information about Vietnamese Tet, you can search the keywords on the Internet. 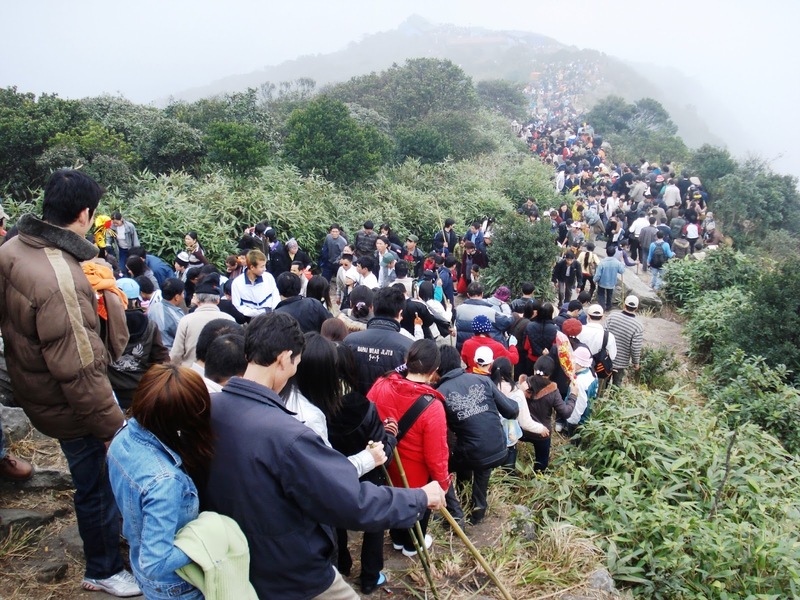 I just want to take the time to talk to you about how to travel in Vietnam during Tet holiday. Should you travel to Hanoi, Saigon, Hoian, Sapa, Da Nang, Nha Trang, Halong Bay in Vietnam during tet? If you want to go to Vietnam to explore the traditional New Year in Vietnam, I suggest you visiting Hanoi and this is the best place to travel during Tet. Across Vietnam, Tet is in every corner with feasts and traditional activities. But why do I suggest you going to Hanoi instead of Saigon? Is it because Tet in Hanoi truly Vietnamese traditional New Year? The reason is because the weather in Hanoi at the time of Lunar New Year is always cold, while in Saigon temperature rises high (it’s pretty hot). The cold in Hanoi and the North of Vietnam make people want to reunite with their family and have dinner together during this holiday period. If you come to Hanoi, you need to remember that there are 2 kinds of people in Hanoi: the original Hanoi people (who have lived there for many generations) and the immigrants (the provincial people). Every Lunar New Year, the Government of Vietnam allow workers and people about 5-7-9 days off work to celebrate the New Year Holiday. Therefore, the immigrants will come back home to family in other provinces. Approximately, 60% of the population of Hanoi will return home or travel elsewhere, even traveling abroad. Thus, Hanoi becomes unusually quiet from the start of the first morning of the Lunar New Year (Tet). All of the shops, restaurants, cafes, small and medium hotels, entertainment venues, supermarkets are closed because everyone is at home with family. Right in the center of Hanoi's Old Quarter, there weekdays are like a giant market, busy people and many goods for sale. But then on New Year's Day, it is deserted. Only some major hotels (read more: Most luxury hotels in Hanoi) or Hotels in Hanoi Old Quarter are open to serve foreign tourists who want to celebrate Tet in Hanoi. This period will last about 3-5 days. Then, everything is back to normal. So if you go to Hanoi on the days of Tet Holiday (from 1st to 5th), you will not be able to go exploring. This city is desolate, with very few people. These days, if you want to move and travel around Hanoi (read more: Best places to visit Hanoi), there are only two means of transport: taxi or public bus (the mini buses suspend their service during this period ). It is very difficult to rent a motorcycle on New Year's days. Many attractions will be closed, except the temples and pagodas. But if you do not visit Hanoi at Tet, you will not know the Tet in Hanoi, the Vietnamese traditional Tet Holiday. So, can you travel in Vietnam during Tet? I have advice for you: Come to Hanoi just before Tet (before the New Year’s Eve). They are the last 5 days of the year when millions people in Hanoi and thousands of immigrants head to Hanoi to go shopping for Tet to hope getting the best things in a new year. It’s the most crowded time and Tet atmosphere pervades everywhere. 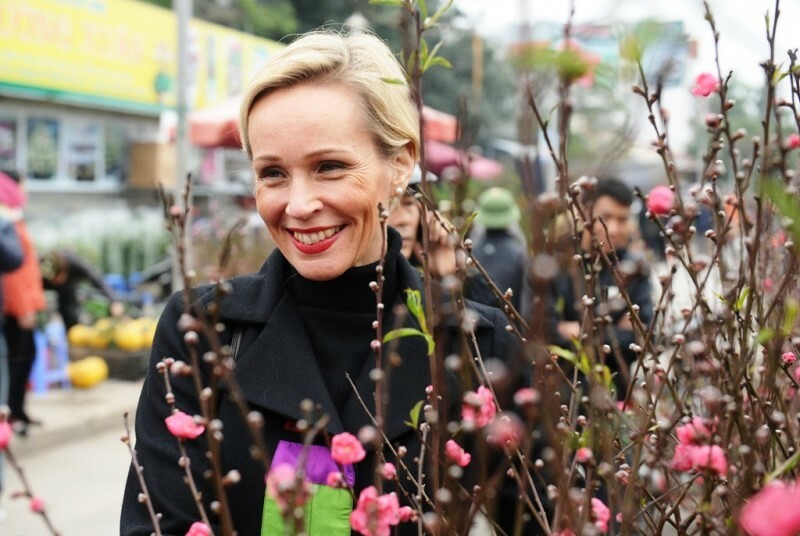 You'll meet the Before New Year’s Eve flower markets, and Hanoi’s Old Quarter is full with people and goods. 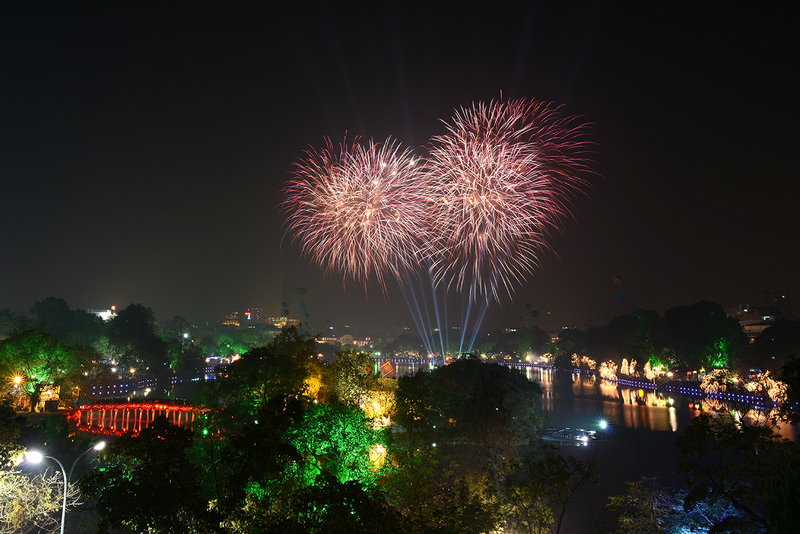 You should stay in Hanoi on New Year's Eve, the night that transfers from the old year to the new one to see the Vietnamese people celebrate Tet (New Year). In the early days of the new year, you should not be in Hanoi, come to the villages in the suburbs of Hanoi, or choose from the following locations to come: Sapa (read more: From Hanoi to Sapa), Halong Bay, Trang An - Ninh Binh (read more: From Hanoi to Ninh Binh), Hoian [read more: How to get from Hanoi to Hoi An], Nha Trang (read more: From Hanoi to Nha Trang)... However, I recommend you book a tour package to travel to these locations during Tet, because they are also as quiet as Hanoi (the capital of Vietnam) in Tet. Because only a few hotels, cafés and restaurants open for tourists everything becomes more expensive than usual. You should pay close attention to your travel schedule. Train tickets, bus tickets booking time and hotel rental periods should be streamlined when you want to visit Vietnam during Tet. If you arrive to Saigon during Tet in Hochiminh City, then about 7-10 days after the Lunar New Year, you should be in Hanoi to attend the traditional Tet festivals in Vietnam (held in big temples and pagodas such as Huong Pagoda, Yen Tu Pagoda). If you want to know what date is Vietnam's Lunar New Year on the Gregorian calendar, please contact me. I sincerely thank you for reading this article on my website. Some articles on this web may have typos or my wording is not right with your writing style and language. If you really want to help me to correct the spelling mistakes which should not exist on each article, I look forward to your help by pointing out to me that the erroneous or incorrect grammar writing. I am waiting for your help. It is a wonderful gift that you donated to me. Sincerely! When is the rainy season in Hanoi Vietnam? What is the name of Vietnam capital city?